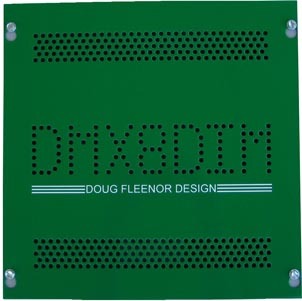 The DMX8DIM is an eight output 'green' dimmer designed for minimal losses, low idle power (less than 1Watt), and low maintenance (no fans or air filters). Housed in a 12" x 12" x 4" NEMA Type 1 enclosure, the electronics are removable until drywall is complete. The electronics are then reinstalled using only four screws. Wiring is by compression type screw terminal blocks. Features include local control for load testing, dim/non-dim per output, toroidal filtering, 16 Amp 120V input, eight 2 Amp outputs, a troubleshooting LED and an optically isolated DMX input. Rated at 250 Watts per output, the dimmer has self resetting overload protection and is powered by a single 20A branch circuit. 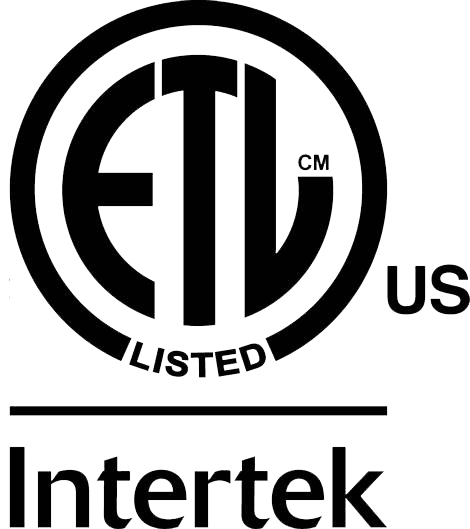 The DMX8DIM is DMX512-A compliant and ETL listed to UL508. The DMX8DIM is a forward phase firing (aka: leading edge firing) dimmer. It uses Triac power output devices. The DMX8DIM is not capable of reverse phase (aka: trailing edge or ELV) firing.